Any paper on the old topic of Irish learning in the Dark Ages, a question to which so many erudite books and articles have been devoted, requires some kind of explanation from the writer, especially when he does not intend to present very much in the way of new evidence. To put mat­ ters succinctly, the reason for this foray into familiar territory is a methodological one. The question of the state of learning in early medi­aeval Ireland has long been vexed by confusions. The most serious of these has been a certain fuzziness regarding “classical learning,” which semper et ubique refers to the direct study of the best literary products of the Greek and Roman civilizations up to about the second century A.D., and “secular learning,” which is based upon “classical learning” and is intimately bound up, but not identical, with it. 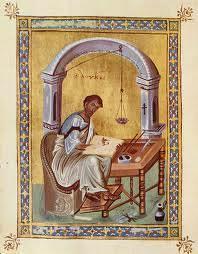 Secular learning embraces a host of non-theological subjects and is more or less identical with the liberal arts in the form in which they were transmitted by handbooks to the early Middle Ages. Secular learning includes, in addition to the can­ onical seven or nine liberal arts, the numerous topics that make up “natural science” (including geography, ethnography, even some areas of history, i.e., the social sciences of today).